Off late I have been devouring mysteries as and when they have been coming my way and Headstone by Ken Bruen was one such book, which I could not stop reading till I finished it. This is the ninth book of Ken’s Irish Detective, Jack Taylor and from what I have read; the other books are also as good as this one. I read Headstone over two nights and I must admit it did spook me to a large extent. The action starts from page one and doesn’t let go. A group of bored kids decide to target the weak and the disabled, using Darwin’s Survival of the Fittest theory to their sordid advantage. Jack’s friends are being targeted and he comes to know of it, when they start receiving headstones in the mail. The action takes place in Galway and Jack and his friends are not the ones to take this lying down. They are ready to take the fight to Headstone members. The Taylor thriller was gory and exhilarating and I loved reading it. There was a lot of blood and guts being spewed in the book, however I enjoyed the writing style mainly because it isn’t easy to write a mystery and then combine it with gore and drama – all in one book. Jack is a brilliantly etched character. Bruen has such great writing skills that it isn’t difficult to fall in love with this flawed protagonist – a whiskey drinker, a cop who knows his poetry and a conscience that flickers right throughout the book. 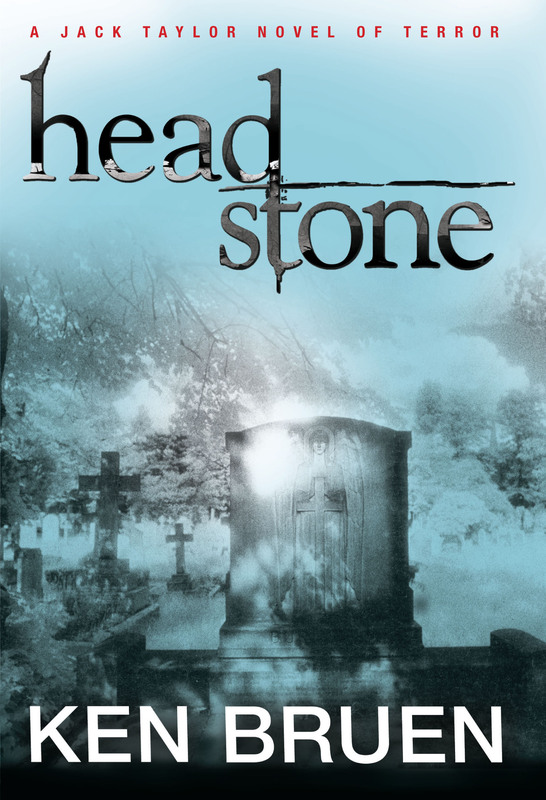 Headstone is a great crime noir novel. It is violent and interesting. It does not lose pace of the plot and yet there will be times when as a reader you would want to turn the pages for the quite obvious references and clues. I was totally taken in with the plot, the humour, the grit and the overall structure of the book. So will you I hope. This entry was posted in Books, Fiction, Mysterious Press, Mystery, Review and tagged Headstone, irish, Jack Taylor, Ken Bruen, Mysterious Press, mystery, thriller on November 1, 2011 by thehungryreader.